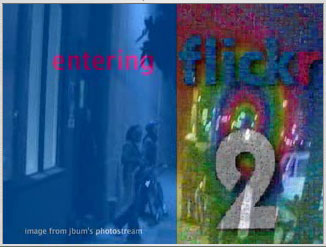 This is video I shot at the FlickrTurns2 party on Saturday, Feb. 11th. Here I enter the party and walk around the main room. The song, "Biomorph" is by Chris Harvey from the album "The White Sail" courtesy of magnatune.com. There’s another one, but it’s cropped out of the photo I posted on flickr from the party.